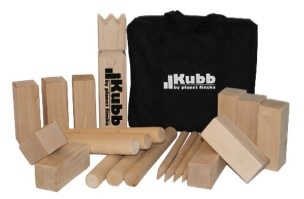 Also known as Viking Chess, Kubb is genuine fun for family and friends of all ages. It is a perfect way to deliver laughs and entertainment at your next outdoor get together. Kubb is easy to learn and with each team having between one and six Vikings, it can happily entertain a larger group.